This performance by Webster Booth. The words of ‘Passing by’ are attributed to the seventeenth-century poet Robert Herrick, who wrote the words of the song ‘Cherry Ripe’. 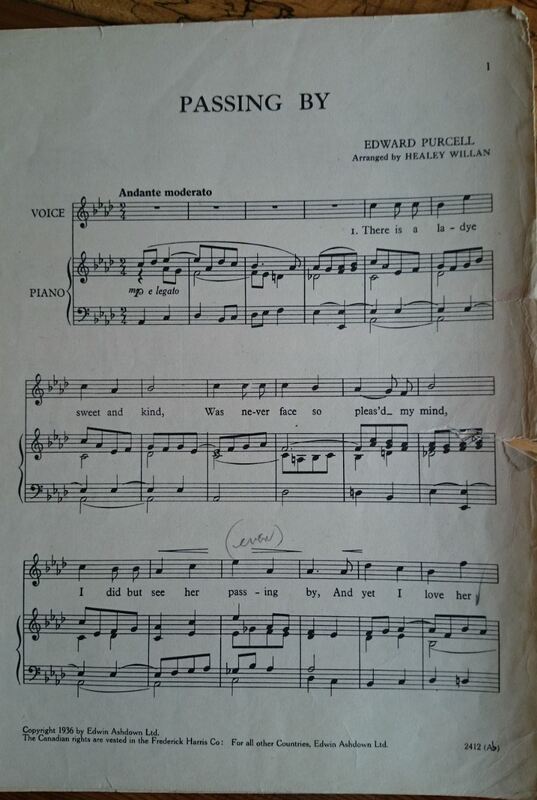 The composer, who used the pseudonym Edward C Purcell, survived his setting’s publication by almost sixty years, without achieving any comparable success. 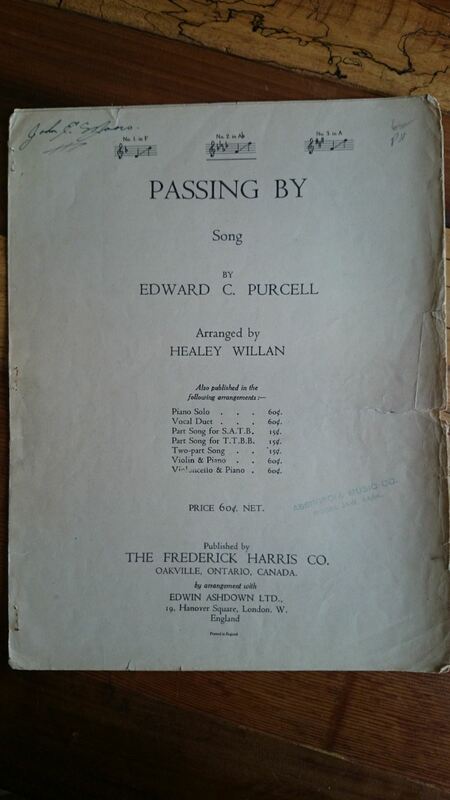 The song’s graceful vocal line helped make it one of the most enduring of Victorian ballads. 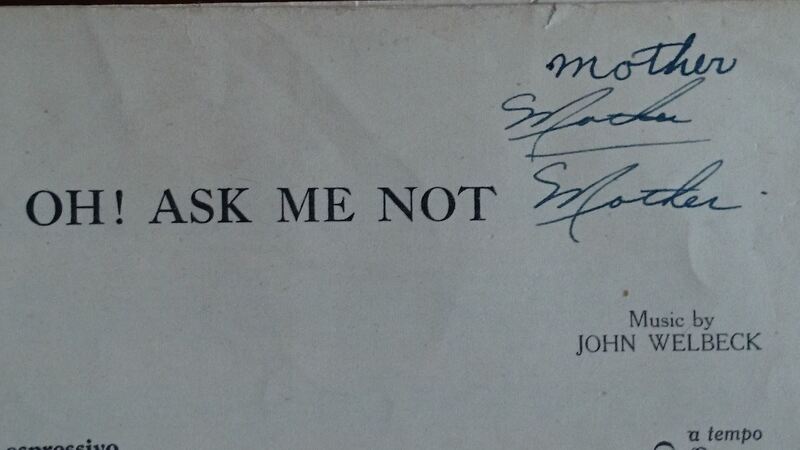 Like others in this collection, it was memorably recorded—in 1940—by John McCormack. 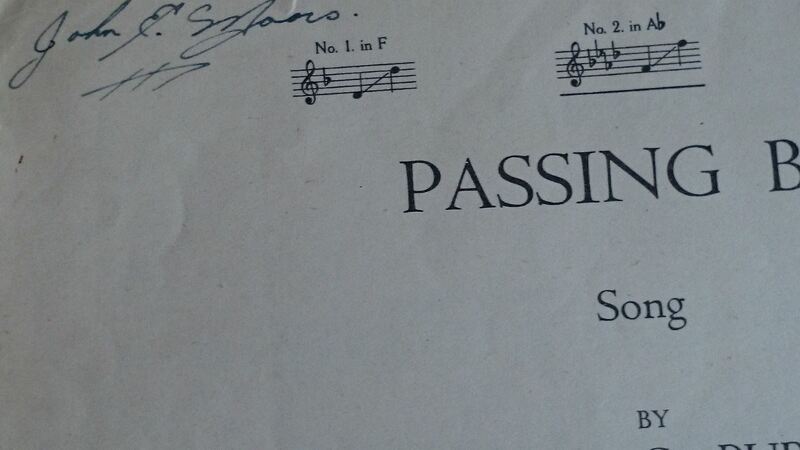 As I look at the upper right corner of the back of this sheet music, I wonder what Dad was thinking as he wrote ‘mother’ three times. I wonder if someone was with him as he wrote in different script. We’ve all done this.